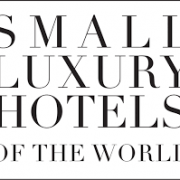 Small Luxury Hotels of the World™ (SLH) matches independently-minded guests with independently-spirited hotels. The diverse collection of over 520 hotels in more than 80 countries includes everything from city centre sanctuaries to secluded private islands, and everything in between. While each SLH hotel offers a remarkably unique experience, the collection is united by the premium quality, stellar location and personalised service available at each and every property. SLH has curated an eclectic range of exceptional hotels to provide travellers with a reliable collection of properties offering only the best. Established in 2004 by John Green who was later accompanied in 2008 by Jo Beames. Each property within the collection has been chosen for it’s superb location, eye catching design, personal service and award winning cuisine. In 1993 in Sausalito, California Claus Sendlinger established Design Hotels Inc., In 2003, the company was renamed Design Hotels AG and in 2004 the headquarters was moved to Berlin. Today, Design Hotels™ represents and markets a hand-picked collection of 260 hotels in over 50 countries.